This is a four-year version of our popular BSc (Hons) Business Technology course, with an integrated foundation year. Study all the fundamentals of computing and systems administration, then progress to information systems, advanced databases and how to manage IT projects. Gain hands-on experience with professional-level developer software and advanced hardware through Sunderland’s accreditations with Cisco and other major companies. This course is designed to follow on from ICT courses in schools and Sixth Form colleges. Topics include UX design, advanced databases, web and mobile programming and software development. We encourage you to apply for a year-long placement between the second and final years, although it is not compulsory. It’s a great opportunity to get paid to put your learning into practice and to extend your experience. Teaching methods include lectures, tutorials, seminars and laboratory sessions. We also use the University’s virtual learning environment for group activities, discussions, assignments and links to resources. We encourage you to develop independent study skills as well as to work with other students on the course. As well as assessments that count towards your degree, there are also on-going assessments for feedback and consolidating your learning. Assessment methods include coursework and exams. Gain an insight into the various factors, strategies and approaches modern businesses use with digital technologies to support their business. Work in a team to undertake a large scale development for a real client or realise an enterprising idea that the group has personally conceived and developed. Learn the principles of software engineering and development in the context of real world and real client needs and demands. Focus on ethics, professionalism and security related issues within the software development and technology management industries. Design, develop and manage database systems within organisations. Focus on understanding common relational database theory, analysis, design, development and management processes. Learn to develop databases using SQL within the Oracle environment, before going on to develop extended database functionality including stored procedures, stored functions, cursors and triggers. Gain knowledge of ways in which SQL can be embedded within typical programming languages and systems for developing large scale database applications. Gain the specialised skills necessary to develop applications for IoT devices within real-world contexts, including the use of robotics and sensors. Focus on programming, network connectivity, configuration and deployment of IoT devices in simulated and practical environments. Use industry-standard tools to acquire, interpret and visualize data retrieved from them. Consider science, HCI and security techniques. Investigate techniques that organisations use for performing simple data analytics for a range of business applications. Gain an understanding of how analytics can enhance business processes and improve decision making, in areas such as marketing, customer relationships, sales and forecasting. Learn how traditional and newer data models and database technologies support real-world demands of data. Investigate various data architectures and how they can represent structured and unstructured data in traditional and Big Data systems; methods for designing, developing and maintaining these data systems; and tools for data access and analysis including Data Analytics tools and how they are used in areas such as Data Science. Understand the principles of Data Science to determine the benefits of utilising Big Data sets in organisational settings. Develop techniques and use tools for Business Intelligence in a variety of contexts, developing management strategies for their use within an organisation. All topics in this module are considered taking into account professional, ethical, social and legal constructs. Study principles and practices that ensure users gain the most appropriate experience when interacting with computer-based software and hardware systems. 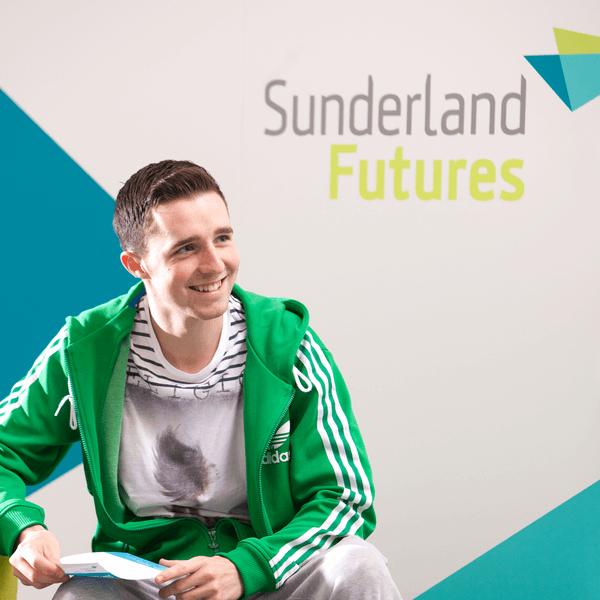 Sunderland has a good reputation with employers, 93.4% of our graduates are in employment, further study or training within six months of graduating, according to DLHE 2016/17 (based on full-time, first degree, home leavers).